toprope with 70m rope. 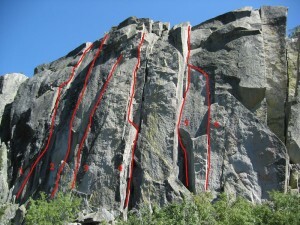 One of the best routes at the cliff. FA: D. Grossman, Rich Van Horn, 1980. Which SuperTopo guidebooks include a topo for Seams to Me?